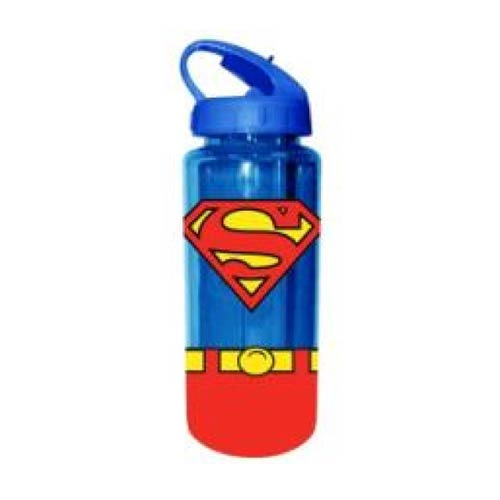 Hydrate in style with the Man of Steel! This Superman Uniform 20 oz. Tritan Water Bottle features the logo and part of the superhero's outfit from DC Comics' Superman. The water bottle comes with built-in straw and holds up to 20 ounces of liquid. Hand wash only. Not dishwasher safe. Do not microwave. Ages 14 and up.